1. Злокачественные новообразования в России в 2015 году (заболеваемость и смертность). Под ред. А. Д. Каприна, В. В. Старинского, Г. В. Петровой. М.: МНИОИ им. П. А. Герцена – филиал ФГБУ «НМИРЦ» Минздрава России, 2017. 250 с. [Malignant tumors in Russia in 2015 (morbidity and fatality). Eds. : А.D. Kaprin, V. V. Starinskiy, G. V. Petrova. Moscow: MNIOI im. P. A. Gertsena – filial FGBU “NMIRTS” Minzdrava Rossii, 2017. 250 p. (In Russ.)]. 2. Онкоурология: национальное руководство. Под ред. В. И. Чиссова, Б. Я. Алексеева, И. Г. Русакова. М.: ГЭОТАР-Медиа, 2012. 688 c. [Oncourology: National Guideline. Eds. : V.I. 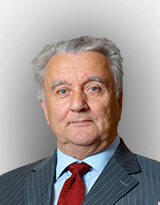 Chissov, B. Ya. Alekseev, I. G. Rusakov. Moscow: GEOTAR-Media, 2012. 688 p. (In Russ.)]. 3. Михайленко Д. С., Перепечин Д. В., Аполихин О. И. и др. Маркеры для неинвазивной молекулярно- генетической диагностики онкоурологических заболеваний. Урология 2014; (5):116–20. [Mikhaylenko D. S., Perepechin D. V., Apolikhin O. I. et al. Markers for non-invasive molecular genetic diagnosis of oncourological diseases. Urologiya = Urology 2014;(5):116–20. (In Russ.)]. 4. Tombal B., Andriole G. L., de la Taille A. et al. Clinical judgment versus biomarker prostate cancer gene 3: which is best when determining the need for repeat prostate biopsy? Urology 2013;81(5):998–1004. DOI: 10.1016/j.urology.2012.11.069. PMID: 23523291. 5. Cui Y., Cao W., Li Q. et al. Evaluation of prostate cancer antigen 3 for detecting prostate cancer: a systematic review and meta-analysis. Sci Rep 2016;6:25776. DOI: 10.1038/srep25776. PMID: 27161545. 6. Bradley L. A., Palomaki G. E., Gutman S. et al. Comparative effectiveness review: prostate cancer antigen 3 testing for the diagnosis and management of prostate cancer. J Urol 2013;190(2):389–98. DOI: 10.1016/j.juro.2013.02.005. PMID: 23545099. 7. Ramos C. G., Valdevenito R., Vergara I. et al. PCA3 sensitivity and specificity for prostate cancer detection in patients with abnormal PSA and/or suspicious digital rectal examination. First Latin American experience. Urol Oncol 2013;31(8):1522–6. DOI: 10.1016/j.urolonc.2012.05.002. PMID: 22687565. 8. Durand X., Moutereau S., Xylinas E., de la Taille A. Progensa™ PCA3 test for prostate cancer. Expert Rev Mol Diagn 2011;11(2):137–44. DOI: 10.1586/erm.10.122. PMID: 21405964. 9. Wang T., Qu X., Jiang J. et al. Diagnostic significance of urinary long non-coding PCA3 RNA in prostate cancer. Oncotarget 2017. DOI: 10.18632/oncotarget.17272. PMID: 28489592. 10. Quek S. I., Wong O. M., Chen A. et al. Processing of voided urine for prostate cancer RNA biomarker analysis. Prostate 2015;75(16):1886–95. DOI: 10.1002/pros.23066. PMID: 26306723. 11. Hendriks R. J., Dijkstra S., Jannink S. A. et al. Comparative analysis of prostate cancer specific biomarkers PCA3 and ERG in whole urine, urinary sediments and exosomes. Clin Chem Lab Med 2016;54(3): 483–92. DOI: 10.1515/cclm-2015–0599. 12. Молекулярный канцерогенез. Под ред. М. А. Красильникова, И. Б. Зборовской. М.: ООО ИД «АБВ-пресс», 2016. 418 c. [Molecular carcinogenesis. Eds. : M. A. Krasil’nikov, I. B. Zborovskaya. Moscow: OOO ID “ABV-press”, 2016. 418 p. (In Russ.)]. 13. Donovan M. J., Noerholm M., Bentink S. et al. A molecular signature of PCA3 and ERG exosomal RNA from non-DRE urine is predictive of initial prostate biopsy result. Prostate Cancer Prostatic Dis 2015;18(4):370–5. DOI: 10.1038/pcan.2015.40. 14. Filella X., Foj L. Prostate cancer detection and prognosis: from prostate specific antigen (PSA) to exosomal biomarkers. Int J Mol Sci 2016;17(11):E1784. DOI: 10.3390/ijms17111784. PMID: 27792187. 15. Аполихин О. И., Сивков А. В., Ефремов Г. Д. и др. РСА3 и TMPRSS2: ERG в диагностике рака предстательной железы: первый опыт применения комбинации маркеров в России. Экспериментальная клиническая урология 2015;(2):30–5. [Apolikhin O. I., Sivkov A. V., Efremov G. D. et al. The first Russian experience of using PCA3 and TMPRSS2-ERG for prostate cancer diagnosis. Experimental’naya klinicheskaya urologiya = Experimental Clinical Urology 2015;(2):30–5. (In Russ.)]. 16. Михайленко Д. С., Перепечин Д. В., Григорьева М. В. и др. Экспрессия генов PCA3 и TMPRSS2-ERG в биоптатах при доброкачественной гиперплазии, интраэпителиальной неоплазии и раке предстательной железы. Урология 2015; (5):46–50. [Mikhaylenko D. S., Perepechin D. V., Grigor’eva M.V. et al. PCA3 and TMPRSS2: ERG genes expression in biopsies of benign prostate hyperplasia, intraepithelial neoplasia, and prostate cancer. Urologiya = Urology 2015; (5):46–50. (In Russ.)]. 17. Goode R. R., Marshall S. J., Duff M. et al. Use of PCA3 in detecting prostate cancer in initial and repeat prostate biopsy patients. Prostate 2013;73(1):48–53. DOI: 10.1002/pros.22538. PMID: 22585386. 18. Ferro M., Bruzzese D., Perdona S. et al. Prostate health index (Phi) and prostate cancer antigen 3 (PCA3) significantly improve prostate cancer detection at initial biopsy in a total PSA range of 2–10 ng/ml.PLoS One 2013;8(7):e67687. DOI: 10.1371/journal. pone. 0067687. 19. Zhou Y., Li Y., Li X., Jiang M. Urinary biomarker panel to improve accuracy in predicting prostate biopsy result in Chinese men with PSA 4–10 ng/ml. Biomed Res Int 2017:2512536. DOI: 10.1155/2017/2512536. PMID: 28293631. 20. Chevli K. K., Duff M., Walter P. et al. Urinary PCA3 as a predictor of prostate cancer in a cohort of 3,073 men undergoing initial prostate biopsy. J Urol 2014;191(6):1743–8. DOI: 10.1016/j.juro.2013.12.005. PMID: 24333241. 21. Vlaeminck-Guillem V., Devonec M., Champetier D. et al. Urinary PCA3 to predict prostate cancer in a cohort of 1015 patients. Prog Urol 2015;25(16):1160–8. DOI: 10.1016/j.purol.2015.08.005. PMID: 26376283. 22. Wei W., Leng J., Shao H., Wang W. High PCA3 scores in urine correlate with poorprognosis factors in prostate cancer patients. Int J Clin Exp Med 2015;8(9):16606–12. PMID: 26629191. 23. Tosoian J. J., Patel H. D., Mamawala M. et al. Longitudinal assessment of urinary PCA3 for predicting prostate cancer grade reclassification in favorable-risk men du ring active surveillance. Prostate Cancer Prostatic Dis 2017. DOI: 10.1038/pcan.2017.16. PMID: 28417979. 24. Alshalalfa M., Verhaegh G. W., Gibb E. A. et al. Low PCA3 expression is a marker of poor differentiation in localized prostate tumors: exploratory analysis from 12,076 patients. Oncotarget 2017. DOI: 10.18632/oncotarget.15133. PMID: 28187449. 25. Motamedinia P., Scott A. N., Bate K. L. et al. Urine exosomes for non-invasive assessment of gene expression and mutations of prostate cancer. PLoS One 2016;11(5):e0154507. DOI: 10.1371/journal.pone.0154507. PMID: 27144529. 26. Dijkstra S., Birker I. L., Smit F. P. et al. Prostate cancer biomarker profiles in urinary sediments and exosomes. J Urol 2014;191(4):1132–8. DOI: 10.1016/j.juro.2013.11.001. PMID: 24211598. 27. Mengual L., Lozano J. J., Ingelmo-Torres M. et al. Using gene expression from urine sediment to diagnose prostate cancer: development of a new multiplex mRNA urine test and validation of current biomarkers. BMC Cancer 2016;16:76. DOI: 10.1186/s12885-016-2127-2. 28. O’Malley P. G., Nguyen D. P., Al Hussein Al Awamlh B. et al. Racial variation in the utility of urinary biomarkers PCA3 and T2ERG in a large multicenter study. J Urol 2017;198(1):42–9. DOI: 10.1016/j.juro. 2017.01.058. PMID: 28115190. 29. Albitar M., Ma W., Lund L. et al. Predicting prostate biopsy results using a panel of plasma and urine biomarkers combined in a scoring system. J Cancer 2016;7 (3):297–303. DOI: 10.7150/jca.12771. PMID: 26918043. 30. Leyten G. H., Hessels D., Smit F. P. et al. Identification of a candidate gene panel for the early diagnosis of prostate cancer. Clin Cancer Res 2015;21(13):3061–70. DOI: 10.1158/1078–0432.CCR- 14–3334. PMID: 25788493. 31. Van Neste L., Hendriks R. J., Dijkstra S. et al. Detection of high-grade prostate cancer using a urinary molecular biomarker-based risk score. Eur Urol 2016;70(5):740–8. DOI: 10.1016/j.eururo.2016.04.012. PMID: 27108162.